"Thanks for looking at our vehicles. We work hard to provide a great value for you in your next choice of vehicles. The great thing about us is you deal with one person for the entire sales process so we make it as hassle-free as possible. No bouncing back and forth with a mystery boss to get any questions answered." "We have financing available for any type of credit with our patented credit approval system. You will know in minutes your exact approval and we make it simple. You can apply online in the finance section on our website and be driving in no time. With our Credit Union Direct Lending system we can offer rates as low as 4.50%. If you have any questions just call for Ryan or Chad or visit us at 840 West O St in Lincoln. " "We have our own service department on site and our cars go through a thorough inspection process to provide a quality vehicle for you. There is a difference on where you get your next vehicle and we appreciate the opportunity!" Winners Circle was established in 2001 just 2 blocks east in a old gas station. In March 2008 we moved to 840 West O St and have been able to add both a service and detail department. Winners Circle has always been a member of the Nebraska Independent Dealers Association where we are held to a higher standard to retain membership. We have always worked hard to provide a quality product at a great value for the consumer. same GREAT service you know and trust!" Hello! Meet Ryan Porter, our new Winner's Circle Owner as of November 2012! He has been working at Winner's Circle for eight years and plans on many more! 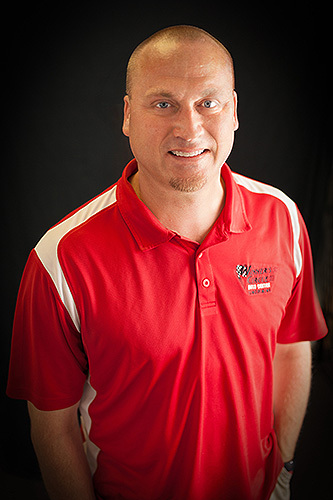 Ryan was born and raised in Grand Island, Nebraska and graduated from Grand Island Senior High in 1992. He then attended college at UNL and received his Bachelor's Degree in Criminal Justice in 1997. He is happily married and has two children. Ryan started out in the car business by detailing cars through college with various car lots. He then entered into the sales force at Meginnis Ford in 1997. Ryan enjoyed several management positions and then in 2000, became Jack Keef's Finance Manager. In 2001, he started his own company selling Finance and Insurance products to auto dealers in a 4 state territory. In 2004, Ryan started with Winner's Circle Auto Center and it was a great fit. Ryan prides himself in taking care of his customers during and after the sale. He will be able to find the vehicle that you are looking for that fits your budget and needs, with several financing options for you. Come down to where you will be treated like family and not feel pressured into purchasing your next vehicle. Ryan will make sure you are taken care of when you come purchase a vehicle at Winner's circle! We promise to give the best quality and service around! not only to improve their credit, but improve their life"
Hello! 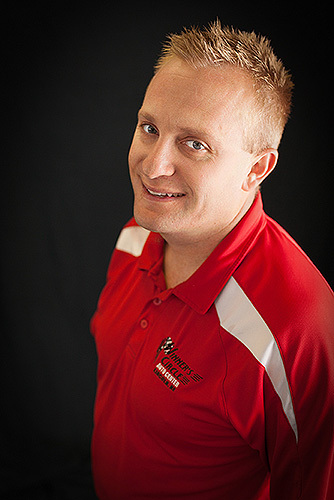 Meet Chad Lile, our Sales and Finance Manager! Chad has been raised in Lincoln since the age of seven. He is a graduate of Lincoln High School. During high school, he began his career in the auto industry, and how now been in the automotive world for seventeen years. He began his experience in the auto auction, at the age of 20! For five years he gained valuable experience learning the in's and out's of the industry. From the dealer side to the retail side and even customer service! At the age of 25, Chad began selling vehicles to the public and learning about auto sales and finance! With 8 years of auto sales and finance experience Chad will be able to help you find the vehicle that fits your needs, as well as your budget. We offer many different finance programs to help you improve your credit. We hope you enjoy your experience at Winners Circle. 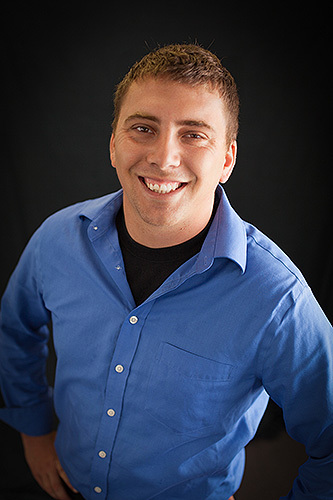 Meet Corey Loupin, sales professional. Corey was born in Orlando, Fla. before moving to Deshler, Ne. Corey graduated in Deshler public School in 2009. Corey was working in sales and was getting frustrated with that company he was working for. He needed a new car and came into Winners Circle to buy a new car for him and his family and to start building credit as well. Not only did Corey get a car that day, but Winners Circle also offered him a sales position. Corey know's first hand what the power of a new car can do for you, your family and your financial future.